This is a list of YouTube videos to help you teach and learn about archaeology and ancient civilizations. This list derives from my course, “Roots of Civilizations,” and generally follows the syllabus for that course. I generally show an excerpt from one or more of these videos at the start of each class as we progress through the semester. I’ve arranged this list topically in the same order as the general subjects covered in my class. There is a definite narrative arc to the order of the videos, and I recommend that you watch them in the order arranged. This is a “living” list, however, and will be updated over time as I update my course. One final disclaimer: I am neither the content creator nor copyright holder of any of these videos. Nor do I take any responsibility for the content therein. These are simply videos that I’ve found on YouTube that fit topically with the subject matter of my course. Want to be an Archaeologist? Short film with help and advice. What Neanderthal DNA Is Doing To Your Genome. Zebra vs Horses: Animal Domestication. Göbekli Tepe & The domestication of wheat. How to Make Prehistoric Pottery. Making History - Malachite & Copper. 4) Roots of Civilizations - Classic Case Studies. Written Word - Birth of Writing. How The Sahara Desert Was Made. The Inca Masters of the Clouds. Story of India - Indus Valley. Bettany Hughes The Ancient Worlds 3 of 7: The Minoans. Farming in the forest in Belize. Engineering and Empire - Maya. Kingdoms of Africa - Great Zimbabwe. Angkor Wat: City Of The God Kings. Dr. Jerry Howard speaks on Hohokam Irrigation. 6) Where do We Go From Here? Looking at the Past and Thinking About the Future. The Anthropocene and the Near Future: Crash Course Big History #9. 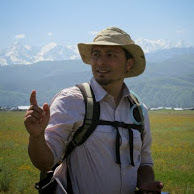 Professor Ullah's List of Great Archaeology YouTube Videos was published on December 15, 2017 and last modified on December 15, 2017 .